Alien: Covenant is a 2017 American science fiction horror film that follows the crew of a ship who land on an uncharted planet and make a terrifying discovery. The film is a sequel to the 2012 film Prometheus. The film title in the poster uses a grotesque sans serif, which is very similar to Helveitca Bold or Nimbus Sans. To reproduce the logo, you can also consider using Arial Bold, a font that is packaged with Microsoft Windows, some other Microsoft software applications, and Apple Mac OS X as well. 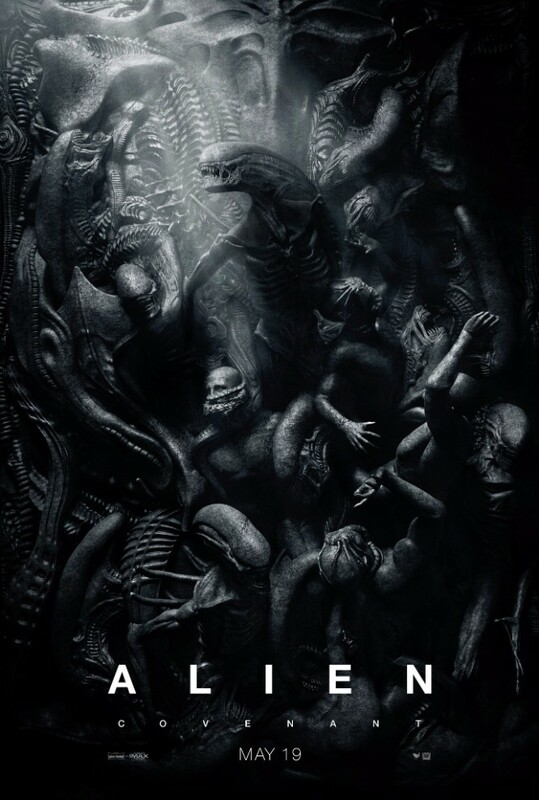 In addition to Alien: Covenant, Helvetica typeface is also used in the following logos, movie posters or album covers etc., including: Brokeback Mountain, First Take, Post-it, Funimation Logo, Phillips 66 Logo, Section.80, G-Force (film), Five Guys Logo, Let It Shine, Cards Against Humanity, Mad Men, Modern Family, Dirt: Showdown, BMW, Parental Guidance.